It’s 3 days, 145 concerts, 15 venues and 81 conferences for professionals. If you love music more than running a marathon, then you are probably like everyone else. And thanks to the MaMA Festival, you will be able to have your own marathon; that is to say dance the night away to diverse and incredible musical performances. 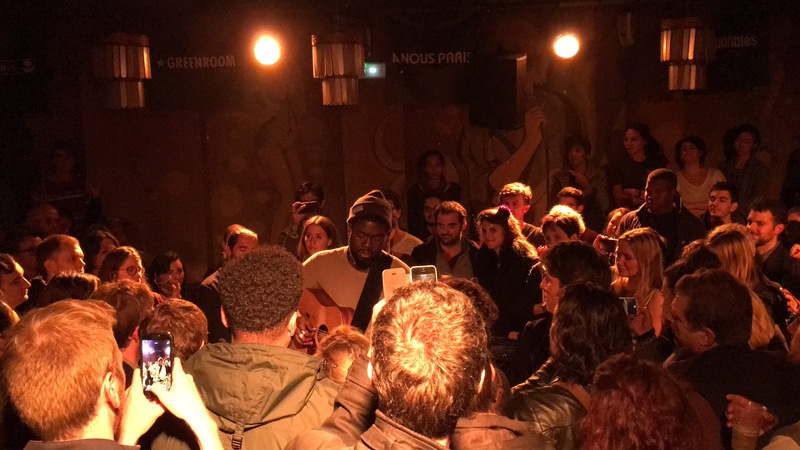 With 15 venues you won’t have to run a mile to get to (they are all located in the same area of the neighbourhood of Montmartre and everything is within a five minute walking distance), the MaMA offers a unique live music experience. Moreover, you get some fresh air between concerts, talk business or if your feet get tired dancing there’s also the Metro 2 you can ride and bars to keep you hydrated! The best part of the MaMA festival is that there is always a concert scheduled somewhere. Conveniently, there is an app you can download on your smartphone. You will have all the information about the artists and the schedule. Picking a random venue and letting yourself be surprised by a new band or singer (you will now be obsessed with!) is exciting. 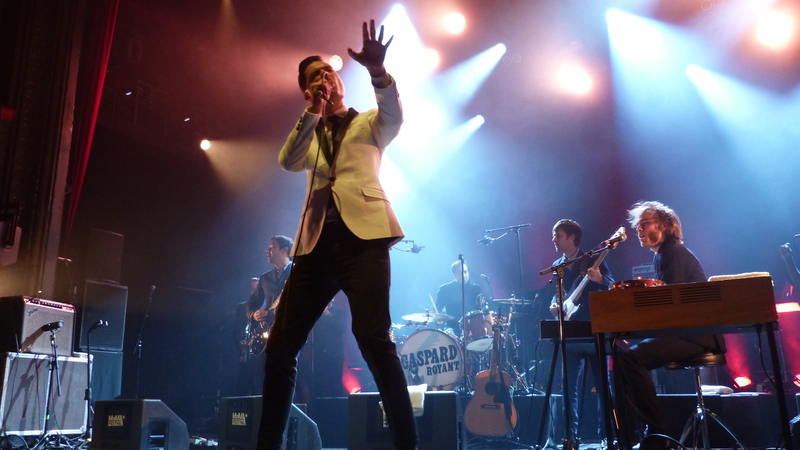 On the first day, Gaspard Royant showcased his smooth dance moves and jazzy tunes at the Cigale. The Slow Show gave the crowd chills with heartfelt and emotion filled songs at the Divan du Monde. Nouvelle Vague electrified the scene with passion and devilish lyrics. In a softer atmosphere and more private venue, Siv Jacobsen at Au Petit Moulin and Charlie Cunningham at the Theatre de L’Atalante transported us, playing acoustic guitar and putting us in a mellow mood. After that, the Legendary Tigerman’s mad rock and roll performance and Biga* Ranx’s fast pace rapping and reggae hip hop style turned our heads around, making it a night to remember. Gaspard Royant perfoming at La Cigale, Paris. Photo by Laurie Le Bomin. Youssoupha, a well-known French rap artist, performed in front of an admirative and playful crowd. He shared so much energy and emotion with the crowd in celebration of the record label BELIEVE’s ten year anniversary. Then, a beer in hand and Shannon Wright on stage playing piano and singing enchanting melodies was the ideal setting to relax. The duo Tambour Battant took everyone back in a party mood. Electronic sounds and drums shook the whole venue of La Boule Noire. Kumisolo played with the Kung Fu Boys at Le Bus Palladium. She’s a lovely singer that blends disco pop and French songs beautifully and humorously. Her soft voice and upbeat songs were a splendid way to end the night. 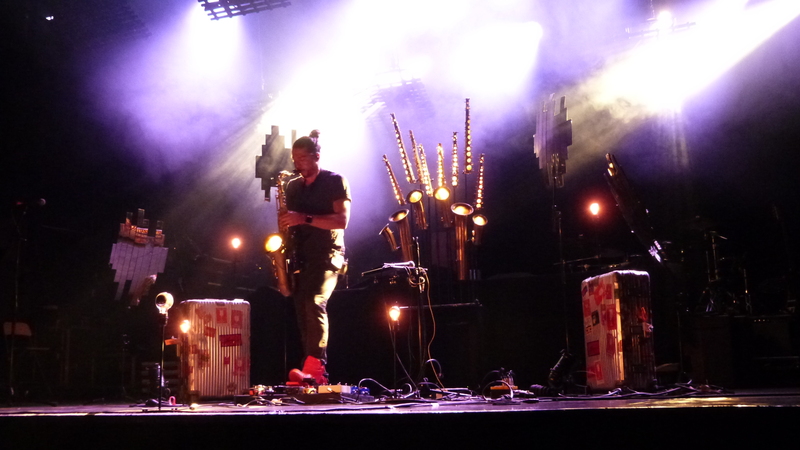 On the third day, jazz player Guillaume Perret fired up the stage with psychedelic saxophone harmonies and gave a powerful visual experience. Guillaume Perret on stage. Photo by Laurie Le Bomin. Pogo Car Crash Control, a young energetic French rock band performed while flipping their hair to the beat of the drums and bass guitars. Samba de la Muerte introduced fascinating experimental sounds at the Divan du Monde. At the Cigale, the venue turned into a club thanks to the electronic mixes of La Fine Équipe. Then, French dandy singer Christophe enchanted the crowd with his velvety voice full of emotions. Two Londoners performed at the Boule Noire. First, Jelani Blackman, a rapper and saxophonist. Then Jake Isaac, who recently signed a record deal. Both were immensely talented. Especially Isaac who took his acoustic guitar and sang among the crowd. His last song, performed a cappella, was poignant and heavenly. The perfect notes to end the marathon and head to bed. Jake Isaac performing among the crowd. Photo by Laurie Le Bomin. Of course there are so much more concerts I did not get to attend but my ears, eyes and heart are pleased with the ones I saw. As the MaMA Festival is mainly a professional event, this is the business playground to go to for people working in the music industry. It is a great opportunity to network and discover new artists. But curious people and music enthusiasts are welcome too. It’s a breathtaking event everyone has to experience!